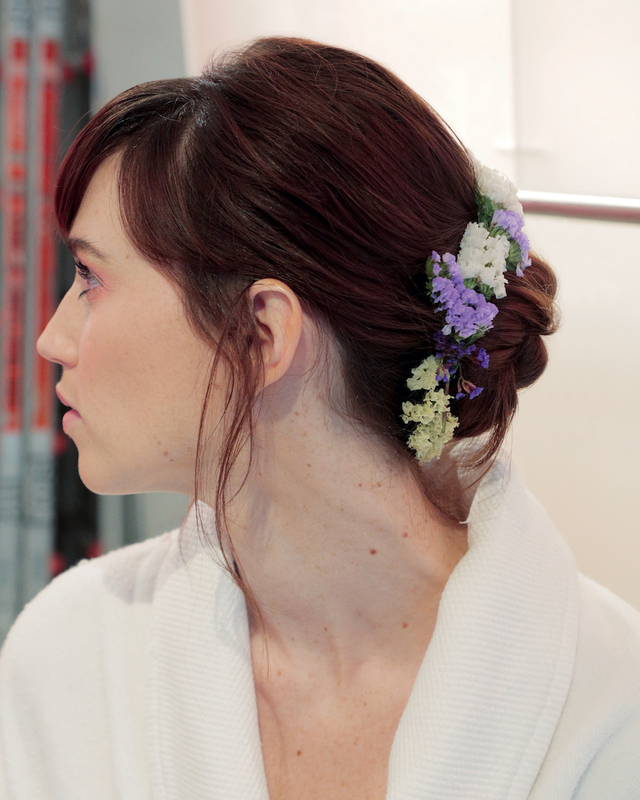 No matter your haircut, length or texture, these wedding hair trends are just for you. Check out some of our favourites for this season. 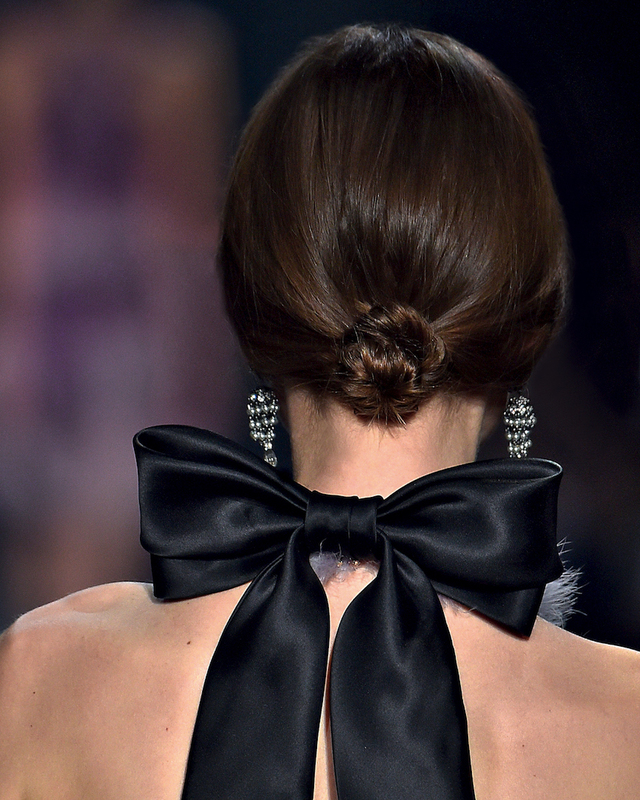 Take notes from stitch and knot techniques, and incorporate them into low ponytails and buns. Leanne Marshall, Marchesa and Mila Schön all included knot detailing in their runway looks, proving that this trend can be super-chic for any bride who wants an understated yet striking style. As an added bonus, should your knot start coming undone during the evening, you can let it loose and have perfectly wavy strands for a more relaxed look. Best suited for brides with poker-straight strands or a shorter cut. Pull your hair back into a low ponytail, or opt for a sleek and shiny topknot that will stay in place, no matter how much fun you have. 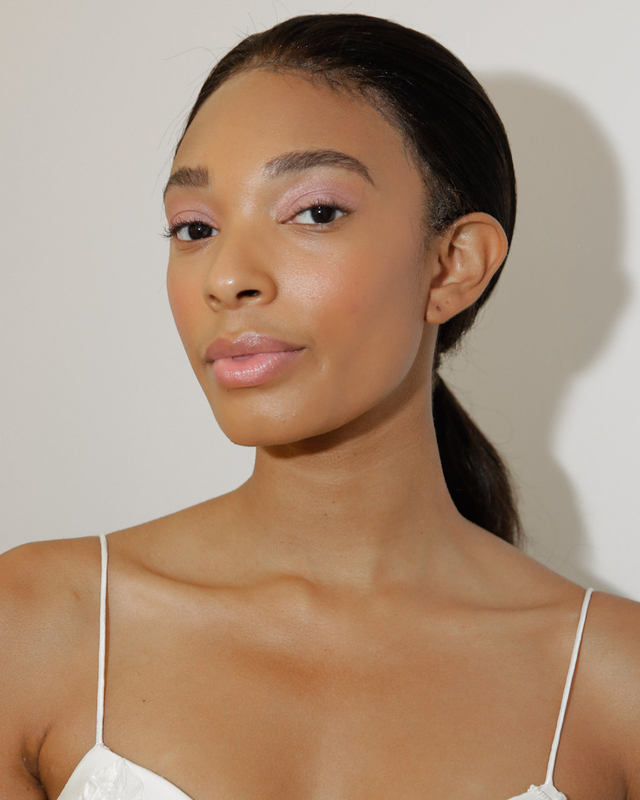 Be sure to tame any flyaways or baby hairs with a couple of drops of an anti-frizz serum or oil. Alternatively, show off your attention-worthy earrings with a middle parting and tucked-away strands for an uber-cool approach, as seen at Sachin & Babi. 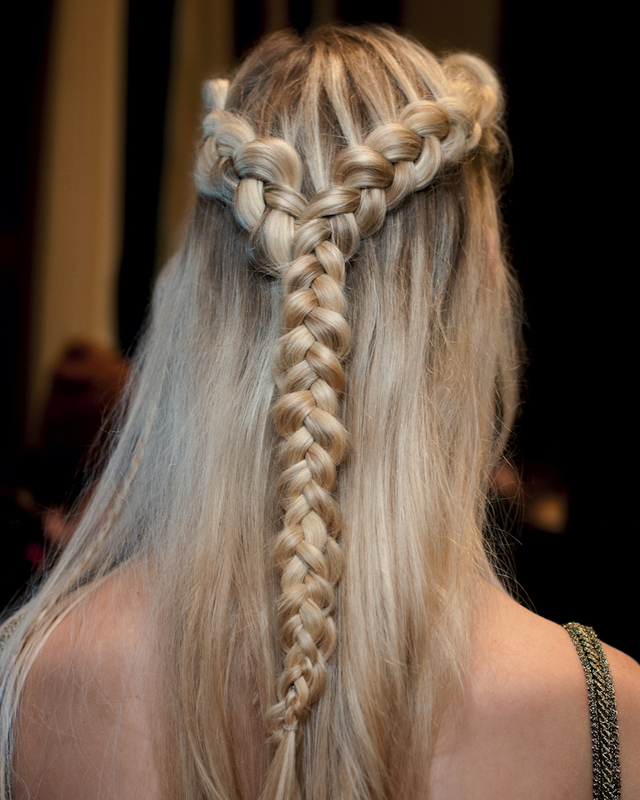 Probably the biggest hair trend at the moment! Usually thought of as a more free-spirited Bohemian style, braids are being incorporated into bridal hairdos in new ways, proving to be perfectly sophisticated. For the bride seeking a classic style with a hint of romanticism and whimsy, any kind of braid can be altered to fit your personal style. Try a Dutch or milkmaid plait with wispy pieces for a Boho take, or sleek miniature braids neatly tucked away for a contemporary look. Curls will always be a winner, whether they are soft, beachy waves or mega-bouncy Hollywood twirls. This can be tricky if your hair is super-straight, so if you wish to go curly on your big day, rather opt for waves and add a tiara or birdcage veil for a cool-girl effect. If you have naturally curly hair, embrace it with a volumising mousse and a frizz-tamer to smooth flyaways. Gone are the days of an updo being confined to a little nest on top of your head with hundreds of pins holding your hair in place. The modest style gets reinvented with modern details to embrace a bride’s natural texture, adding tiaras, flowers or headpieces, as seen at Lela Rose, Theia and Mark Zunino. Whether you prefer your hair slightly dishevelled and tousled, or slick and neat, the classic chignon can offer the answer. Next Story → Should you serve a buffet or plated meal at your reception?